The Prime Minister tells Kol B'Ramah: The resistance to hareidi parties in coalition did not come from me, and I even tried to intervene. 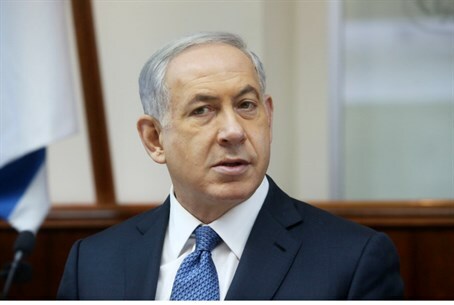 With the opening of the Knesset's winter session Prime Minister Binyamin Netanyahu granted an interview to hareidi radio station Kol B'Ramah making it clear that he has never boycotted the hareidi public. "The hareidi parties were not shunned by the coalition because of me," Netanyahu said, explaining that "it was not me who objected to the addition of any party. It was the opposition of several partners, and unfortunately this prevented the creation of a wide united government. And that I think is exactly what we need these days - unity in Israel between all its parts, all its factions." He further elaborated on the issue of the hareidim, saying, "The resistance to [hareidi parties in the coalition], not only did it not come from me, but I even tried to overrule it though in the end we did not have the power. We did not have the numbers. At the end of the day the public elected the representatives and delegates who determined which parties were to be in the coalition. "If it were in my hands, I would not have shunned the hareidim. That is absurd. I don't behave like that in my public life nor in my private life. Every Saturday I read the weekly Torah portion with my son. This is not a performance; this is real, it is deep, and it reflects the place from where he came." Netanyahu said he studies the Bible at home once in a while. "I hold a Bible class in the name of teacher, Shmuel Ben-Artzi, my late father-in-law. Every few months we meet Shabbat. Rabbis and chief rabbis visit and we learn a chapter from the Torah, usually from that week's portion. It's very moving and very deep, and you are all welcome to come. " In his remarks, Netanyahu also addressed his relationship with hareidi parties in the Knesset. "I talk with all the hareidi Knesset members. I speak with Aryeh Deri and Eli Yishai, and other members of Shas. There is open and genuine conversation between us and I think they know the truth. The truth is important. There is a shared fate and deep understanding in the fundamental existence of the Jewish people. I too share this and it is deep inside me - this is not a show." "I can tell you that I saw a psychologist in a hareidi school and I heard wonderful things from her about the hareidi community. My son was the winner of the International Bible Contest at the age of 15. These are the true things that will be recognized in the end." The interview and Netanyahu's comments could add fuel to the fire of MKs who have become angered by Netanyahu's apparent move toward the hareidim, in a potential bid for new election.